VIDEOS BY BLACK HORSE PRODUCTIONS. The Beautiful Wedding of Taryn & Nick. The Elegant Wedding o Marina & Tinus. The African Style Wedding of Janemu & Wally at Mangwa Valley. 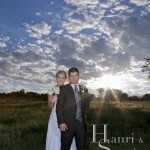 The Beautiful Wedding of Lara & Warren in Dullstroom. The Elegant Wedding of Keren & David. The Joyful Wedding of Tanya & Riaan. The Unique Wedding of Haley & Clayton. The Elegant Wedding of Monique & Andre. The Joyful & Elegant Wedding of Hanri & Frederic. THE CELEBRITY WEDDING OF JOLLIE & WERNER AT SOREX. THE ELEGANT WEDDING OF PALESA & NEO. THE SPECTACULAR WEDDING OF WANDA & ZINZIE.